After weeks of uncertainty about who would be guiding the fortunes of Mayo’s footballers next year, James Horan’s return to the managerial hot seat was confirmed at last week’s County Board meeting. In this bonus episode of the Mayo News football podcast we focus on the Ballintubber man’s reappointment to the position he held with such distinction between 2011 and 2014. Host Rob Murphy, Edwin McGreal of the Mayo News and I chat about the events surrounding James’ ratification as manager last week. 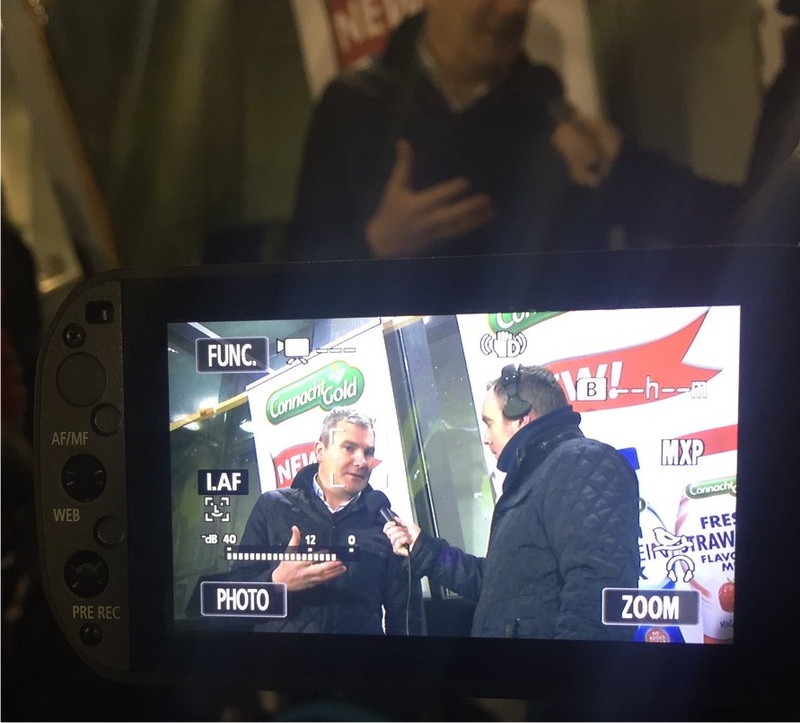 Next we hear from the man of the moment himself, when James spoke exclusively with Mike Finnerty on Mayo GAA TV at MacHale Park on Saturday night. Mayo News columnists Seán Rice and Billy Joe Padden then provide their thoughts on James’ return to the touchline and what we can expect during his second stint in the position. This bonus episode of the Mayo News football podcast is now online and is available to listen to on both iTunes and SoundCloud. You can also listen to it on the Mayo News website as well as here on the blog using the SoundCloud player below or the one on the panel on the right. The Mayo News football podcast is brought to you in association with the Mayo Roscommon Hospice Foundation. Support the Hospice’s ‘Buy a Brick’ campaign to help build a Hospice unit in Mayo – full details here. Seems there is going to be a big fundraising push in New York. Delighted. The draw on Thursday night should be interesting. Great to see James Horan’s interview. Still in awe of Diarmuid’s performance Saturday night. Solan’s age of 36 given as the reason for pulling out on there. Wasn’t Rochford only 36 when he took over the Mayo management job? For what its worth once Horan threw his hat into the ring it was only a matter of when he would be re-appointed. Interesting to hear James talk about the first NFL game is the FBD overlooked already? Willie Joe – who was the person on the podcast who said that one push for the All Ireland will not work – it did not work in 2016 and it didn’t work in 2017! My God if the push in 2019 is anything as close we will all be delighted! thats the drive home sorted thanks lads! That was me, Mayoforever! Don’t get me wrong, what we did both years and how close we came was incredible but my argument was that a policy of one more push in 2019 simply won’t work. Horan clearly has a long term plan in place to develop football and ensure we are consistently at the top table. This will not be a one more push type of thing. Personally I can’t live through another 16/17 scenario I want to win it now and I am convinced we can. Very enjoyable Podcast. Well done to all your efforts. What a difference in our outlook for the future today, compared to the evening a young girl from Kildare offered me a free sandwich in Newbridge as we set out for the journey home. I find JH so realistic, and motivated for the job in hand. I have always bought into the consistently competitive approach to this. It is the approach I have followed all my lifetime, and so have you if you are honest about it.. So refreshing not to have the AI or bust approach of the last 3 years. Its as romantic as it is foolish approach of going about the job. JH will have seen lots to like in last weekend’s action. Immense performance from DOC. Huge contrast with Jason Gibbons. Gibons gets on a lot of ball, takes up good positions to bail out a comrade, but moves ball on with basic hand and occasional foot pass. If he can get drive into his play, who knows. Mathew Ruane gets better and better. The surprise packets for me were two number 10s Ciaran Gavin and Robert Fadden. Excellent work rates and Gavin can take a score. The future is bright for JH with these guys. Nothing wrong with Hanly either, honest and hard working. I thought Akram did well as a zonal sweeper rather than man for man marker. Great pace out of defence and he is definitely going in right direction. Another disappointing evening for COC. Wasteful runs back into defence and out of position once ball was turned over. Thankfully Jason Doherty has not lost any of his sharpness in free taking department. It’s straight knockout this year, Mayo Viking. We’re due to play Leitrim away in the preliminary round on Sunday, 6th January and the winners play Galway (also away) in the semi-final on Sunday, 13th January. Roscommon and Sligo contest the other semi-final the same day and the final is the following Sunday, 20th January. Thanks Wille Joe, our old sparring partner in the semi final would be interesting, Should we beat Leitrim, or the Rossies in the final,if we both progress, 6 days later we play them in Castlebar in the league.Wow can’t wait. I’d honestly prefer we used the Fbd weekends to be indoors lifting weights and getting powerful. Last year’s Fbd set us so far backwards it was ridiculous. We had barely been back training and a load of valuable pre-league time ended up with our players getting absolutely battered out in the slogging dirt. Compared to let’s say several weights sessions with full recovery. Billy Joe Padden on this years Mayo under 20s saying theres no outstanding talent, you would know he’s based in Armagh watching very little Mayo club football with a comment like that!! While I’m on a roll and listening to James Horans interview wanting to try out 100 players I decided to put divisional teams together, actually made it five, calling the fifth team coastal due to Westports and all the neighboring clubs like Louisburgh, Burrishoole and Kilmeena doing so well this year. Its up for debate, don’t want to offend leaving off someones favorite. didn’t pick anyone from this years panel.Tried not to pick too many U20 Players as they will be better off playing in the their owe grade. Always surprising there is only 5 players from South Mayo and none from Claremorris based on there development at underage over the years. Expect big changes over the next few years with the conveyor belt of footballers that Westport is producing. I would like to see 10 of the older players rested until the last couple of rounds of the league with at least 1o new players brought in. TH I think BJP’s comment regarding outstanding talent was more a reference to there not being a single stand out or “leading light” – e.g. it was a well balanced team without any specific individuals being the “marquee forward” that the experts bleat on about. I would disagree with his assertion somewhat, I would have thought that Ryan O’Donoghue probably might fall into that category, but I can see where he’s coming from. I think Billie Joe meant outstanding in terms of being up there as best at u20 in the country like Diarmuid was at U21. In that assertion he is correct. Agree Mayomessi, if Donovan Cosgrave was fit, he was absolutely in the top 6 defenders in our county at U20. His goal at the weekend showed him to be the best athlete defender we have at U20. Strength wise, composure and speed wise a fair bit ahead of most of the U20 panellists. Am I missing something regarding the U20s? I think Ryan O’Donoghue is an explosive talent, whom I would consider as an Allianz starter in 2019. And, Lambert, & McLoughlin are not far behind. I know they all didn’t do themselves justice in the final, but I actually think those guys are better than the 2016 crop. @Mayomessi, I thought Eoghan Lavin was good enough, underused, Kiltimagh were not composed enough in terms of who they were putting on the ball. Lavin had to go and graft for ball. Others should have been doing more of the grafting and then putting Lavin, their best shooter on the ball facing goals. I think his pace is fine, he’s tall so it takes him a step to get up into his stride but once moving he can really cover the ground. @catcol, very few of the U20s are physically strong enough or big enough to be featuring in league games. The most likely to feature are Colm Moran, Conor Diskin and Jordan Flynn. Moran is not tall but he is built like a gymnast strong. Ryan O’Donoghue is skillful, but for example he was long stretches fairly muted against Kiltimagh and that was intermediate club level. He was long periods quiet enough in the U20 final. I think it is more of the 22-25 year olds who will be looked at. They’re simply much more ready. I think Conor Diskin is the standout talent at under 20 was man of the match for Claremorris against Mitchels put Ger McDonagh under big pressure.Has the whole package tall, strong very pacy, good in the air and knows how to score goals.I think he could make an impact straight away in 2019 cause he is plenty strong enough in comparison to other forward options. Thanks for posting those potential divisional team’s Mayo Messi. Interesting reading for those of us not based on the country. Catcol I’ve been watching Ryan O Donoghue for years now at club level he’s a good honest lad good footballer but a big small and light for county football in my opinion tho he could bulk up he has the potential. I’d put him ahead of Evan Reagan and I think Ryan deserves a chance but I think he’s a few years off yet. Ballinrobe are on a serious comeback at underage now in South. Starting to be a solid A team. Within the next few years would predict they’ll be A Level u13 – u18. Stephan McGreal is a good Claremorris prospect especially for u20 next year. He will be very athletic and strong by 21. Has that natural strength. Claremorris league form was up and down but still finished well above Hollymount a lot of it had to do with when James McCormack was out injured. James McCormack has to be in a combined South team. Garrymore most inform team from South Mayo. Shrule and Davitts both propped up Div 2 this year. Ballinrobe very young team this year and have a few good young footballers, Aaron McDonnell transferred from Ballintubber was a help. The Neale also young with at least of he team 22 and younger. The only thing against Hollymount is age, Conor Keane and Darren Coen are at the right age 24 -25 both Padraic and Kevin Feerick are in the 29-31 age group which makes it hard to justify inclusion. Gary Golden age is a mystery to me I know Mark Tierney played in a minor team with Aido. Tried to fit the right age profile as well. Padraic Walsh definetly worth a look found it hard on Sunday Burrishoole dominated the midfield sector early, he found it easier late in the game on Sunday not sure if it was more down to the big men from Burrishoole fading, good left foot and got some good score so a couple of good plus signs. Sunday wasnt a good day to Judge midfielders with the weather Sean Walsh Kiltimagh didn’t stand out before going off but he had been carrying a injury. Jason Boylan had a good game for Belmullet I believe a brother of Gary Boylan, didn’t hear how serious his injury was. Gary Golden was minor in 2010, so u26 most likely. All – just a general notice for info. I’ve created a new tab at the top of the site for a page that contains the podcast library, just in case anyone wants to access the back catalogue. I’ve only the 2018 episodes there (35 and counting!) at the minute but I’ll add the 2017 ones as well when I get a chance. I got rid of the “Contact Me” tab to make room for the podcasts one but I’ve relocated the contact details and form that were there to the “About” tab. Yeah, like the way that looks Willie Joe. Podcasts tab is impressive and situates the blog at the cutting edge! On the question of one big push, with respect I have to disagree. JH is a good project manager, and like all such managers, he will eat the elephant in chunks. Hence the focus on Roscommon in McHale Park in January. That’s phase one. He has a lot of tasks within that phase to keep him going for the moment: look at what’s there; nail down a panel; set up a training schedule; get the S&C process underway for newbies; finally get a match squad for the Rossies. He won’t be talking about it now, but he has the other phases in his plan or in his head. On the backroom team, I was impressed by his rationale for the choices. And he was clever, letting Mike Connelly (appear) to have his way on closing the borders. But there will be additions, of that I have no doubt. @Catcol, you seem to also be agreeing with Willie Joe/Billie Joe that it will not be one big push. I think Horans plan is much like Joe Scmidts for the World cup. Build title challenging depth. I may not have expressed it clearly enough JP, but I’m disagreeing. JH not saying it – it’s unspoken. And what will ‘his’ players be coming back for in 2019? Hardly to beat Galway. @Catcol, Aidan admitted last night in intervew on Off the Ball that Mayo need to basically re-establish themselves first before we can be thinking that we are right up there in the top 2-3. He pretty much said 2019 might not be at the level of being able to challenge for the All Ireland, but that we need to get new players involved etc. I would say beating Galway would be a certain level of re-establishing ourselves, yes. Guys a lot of ye are overlooking Ryan O’Donoghue (Belmullet). Let me tell ye, he is going right to the top, a class class player. Its worth the entry fee alone next week at the intermediate final just to see him play. Only way to stop him is by fouling him. A special talent, just keep an eye out for him, he will be immense. Didn’t hear that JP and take the point. But I still stand by what I said. New players are all very well, every one thinks this is a good thing, but if we are to be at the cutting edge next year, it will be two or three players, maybe even one, who will get the call at the latter end. I can’t see any of those listed, even Brian Reape say, being that player. Would love to be proved wrong of course. Just wondering where did the team that lost to Longford and then went on to be consistently competitive come from. Managers instill confidence and a lad who is tipping away at it can become a warrior once he gets that confidence. I see a lot of room for improvement but I do expect James Horan to send out determined confident hungry teams and I for one will not be surprised to see Mayo at the top table sooner than people might anticipate. Hope I’m not deluded…but even my confidence has gone up a bit!! @catcol, but even let’s say three new players making an impact it being two starters and one real impactful sub. That’s not a 2% lift. That’s a pretty significant lift. If we go on the basis of the likes of Eoin O’Donoghue, Stephen Coen and James Durcan holding their positions so the three being genuinely new players. So it being two new starters and a new sub. I would take that if you offered it to me now as a 2019 start on the rebuilding whilst remaining competitive. Then you’d probably have an additional 3-4 players really gunning to get a starter or sub spot in 2020. Sum it up and yer looking at 6-7 new players across starters and subs in two years. We get where we need to be nice and patient. Coen is hardly new he played the 2016 All Ireland final and was a sub in 17, played nearly every game this year. Pretty well established now, going into a 4th or 5th season in the squad. It’s nice to see all the youngsters being highly spoken about. But men like Boyle, Andy and Higgins won’t be easily replaced. They have consistently scaled heights in the game that 98% of the players mentioned above will never reach. It’s true that boyler and Moran were showing signs of slowing down in 2018 but they will still be key squad players at the very least in 2019. For me Higgins is on a another level again. Probably the purest natural footballer to ever play for Mayo, and one of the best corner backs of all time. Was the best player on the park against Galway in May having played hurling all spring! As good as EOD is, if there was an All Ireland final tomorrow I’d pick Higgins every day of the week ahead of him. I see him as having Sean cavanagh type stature in Mayo – as long as he’s in the squad he will start right up until he retires because he simply too good to leave on the bench. For next season I’d like to see reape and Ruane moving forward to at least becoming regular substitutes in big championship games, and starting a few league games. That would be good progress from 2018, with lads like loftus, j Durcan and Hanley nailing down regular starting places. Might get a bolter like Diskin or Colm Moran to stake a claim too. Diarmuid moving into Elite level next season would also add a lot to our team and he’s showing good signs. Higgins is class and I would hope Horan will entice him to stay on not only another 12 months but a couple of years. He has a rolls royce engine (as does Diarmuid). He may not be a starter in every game but can you imagine having Keith to bring on in a tight game or even one you are comfortable in with 20 mins to go – with his pace and jinky movement he would strike fear into the opponent. A crucial component in team Mayo. There is definitely more from Coen and Loftus. A lot more from the latter you would hope. I believe Horan will drive them to reaching their potential. Up until now Coen has done ok. Thats all. Loftus faded in 2018’s championship. Neither hjave them have ever dominated a game at senior but they have the ability to do so. They were talented boys underage. Time now to own the game like a man. The ‘young lad’ tag wont cut it anymore. I meant in terms of new players it being new to the panel players. So not Coen, O’Donoghue or James Durcan. I don’t personally rate Keith Higgins as an All time corner back. Defensively in terms of shutting down his man he has been average enough at times. He really isn’t a corner back that the likes of Dean Rock or James O’Donoghue fear. Higgins I would love to see used as a half back. I can see Keith being kept a utility sub. He can act as Corner back, has played half back and can do a forwards or a sweeper role. That and his pace could drop and he’d still be faster than many an intercounty player. I think thats probably what we will see from a few of this and the 2006 under 21 team of players. From that older bunch, can you imagine if we had a starting team as good as them with that crew available to come on as subs?. It is that area of the squad/panel we’ve been lacking in with it comes to the big games in the past, so being able to bring on proven players from this group at the latter stages could be what finally lands the big one for us. @FDB, building an almost overnight strong bench would be a great boost for 2019. Might extend lads careers by a season or two. Only need 20 minutes of fitness, can ease off to just be available for that. Not really disagreeing with a lot of what you are saying there JP. I suppose my main point is that I see the core group pretty much involved in 2019. 2 or 3 additions would be great, even for obvious things like long distance frees – O’Malley maybe? This was the winning and losing of 2016 & 2017. What Rory Beggan brings to Monaghan is huge for example. No need to argue whether Horan is going for one last push or building a new team as IMO it’s neither. I think everyone would agree that new blood and a new approach is needed, AOS said as much himself last night. 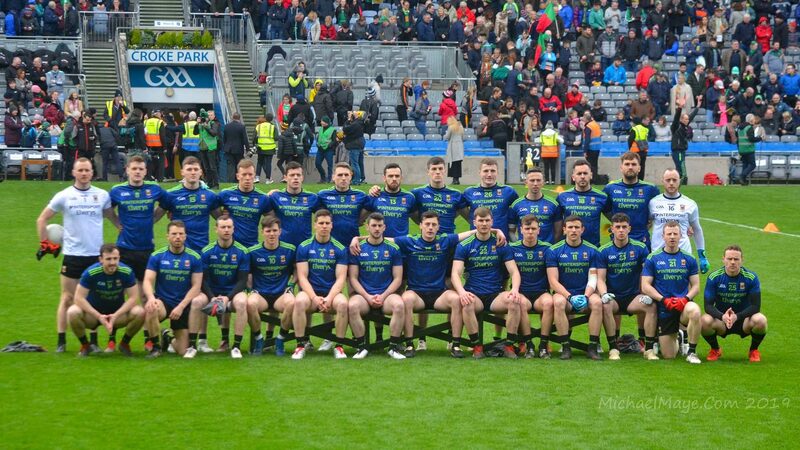 However there are certain targets that must be met next year, retaining div 1 status is always an aim, beating Galway if we meet them (we simply can’t loose to them again, would that be 4 in a row or 5 if it does), reaching super 8s ad this is where he real test lies with the new players. So next year will most likely be a core of experienced players with 3-4 new additions plus a competitive development panel. The real changes in the panel to take place in 2020.
huge changes in 2020 is right mayomad , i expect a lot of retirements after we win sam next year. Glad county board went for James in the end. I wish him the best of luck with it too. He has a reputation at stake which is going to be very hard to maintain. history is also against him. We don’t do second helpings well at all. So its a brave move and I commend him for putting his name forward. So much so that I don’t really care if we suffer a bit next year and e.g. got relegated from Div1. Championship is what its about and secondly building a new team that is going to be competitive for the years beyond. But Rome wasn’t built in a day so i’m very glad he got 4 years as well and I hope the mob don’t turn against him if results are not satisfactory.